More than 20 million people have been touched by Jesus Calling®. 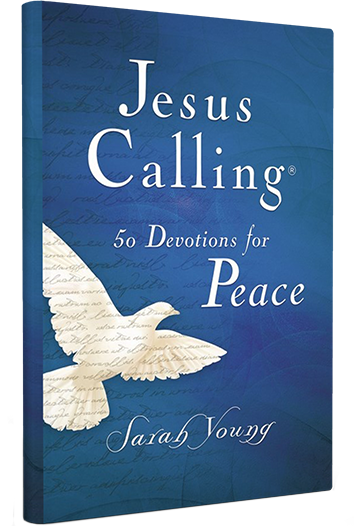 Experience Sarah’s words in a new way, focused specifically on the peace only Jesus provides. The Jesus Calling topical devotionals—releasing simultaneously—each feature 50 readings from Jesus Calling with relevant Scripture verses on the topics of comfort, peace, and encouragement.